Troy Chee is a highly skilled, and experienced, IT specialist with 28 years of experience in designing, installing and supporting communication networks. Troy understands the pain and chaos that is caused each time a server crashes, data is compromised, and email systems go down. Addressing these critical concerns, he creates seamless, share-able and highly efficient working environments that provide a secure and scalable solution to your IT needs. Troy’s particular expertise, and personal interest lies in leveraging the power of Google docs to create integrated cloud based working environments for both home and commercial use. Be it a simple home set up, or a multi office, multi city, global organisation, Troy will transform productivity and most crucially system integrity by architecting and deploying a solution that not only unifies existing systems and platforms - be they Mac or PC based - but provides a secure and robust, long term solution. Based in Sydney, Australia, Troy holds a Bachelor's degree in math’s and science from Wellington Polytechnic. 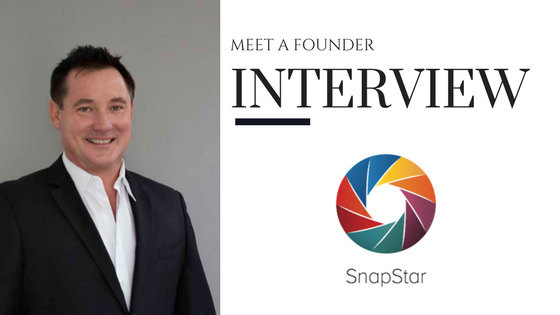 We sat down with Troy Chee, creator of pioneering document securing app SnapStar about gleaning inspiration from the greats, and the importance of being honest with yourself.